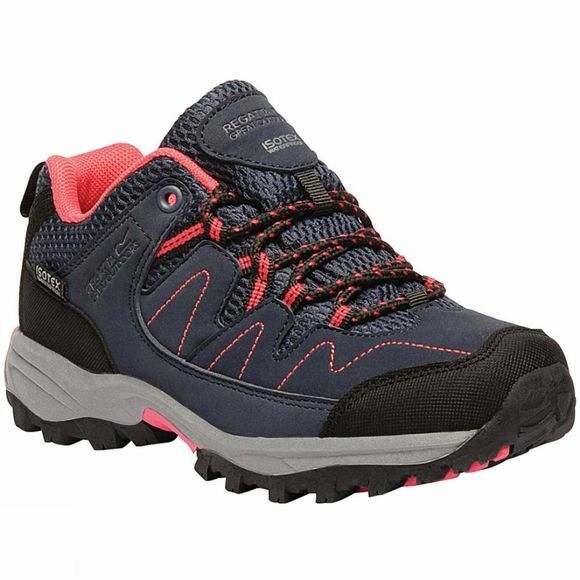 With a waterproof and breathable Isotex bootee liner and EVA cushioned footbed, the Kid's Holcombe Low Shoe offers brilliant performance and comfort for kids out on the trails. The sporty uppers use Hydropel technology to disperse water and feature deep padding around the tongue and collar for a close, secure fit. Toes and heels are protected from bumps and snags with tough-wearing rubber overlays.